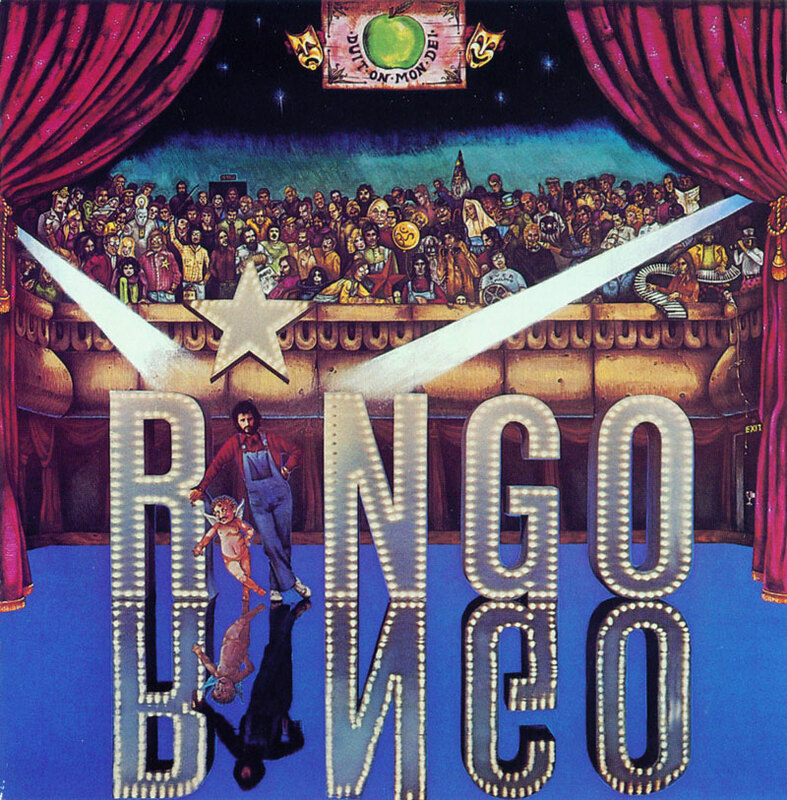 With Ringo, Ringo Starr finally put his solo career in gear in 1973, after serving notice with back-to-back Top Ten singles in 1971 and 1972 that he had more to offer than his eccentric first two solo albums. 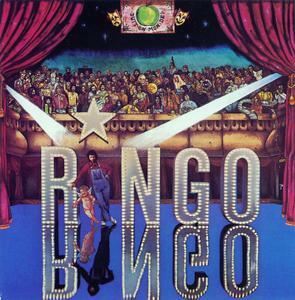 Ringo was a big-budget pop album produced by Richard Perry and featuring Ringo's former Beatles bandmates as songwriters, singers, and instrumentalists. On no single track did all four appear, though George Harrison played the guitars on the John Lennon-penned leadoff track "I'm the Greatest," with Lennon playing piano and singing harmony. 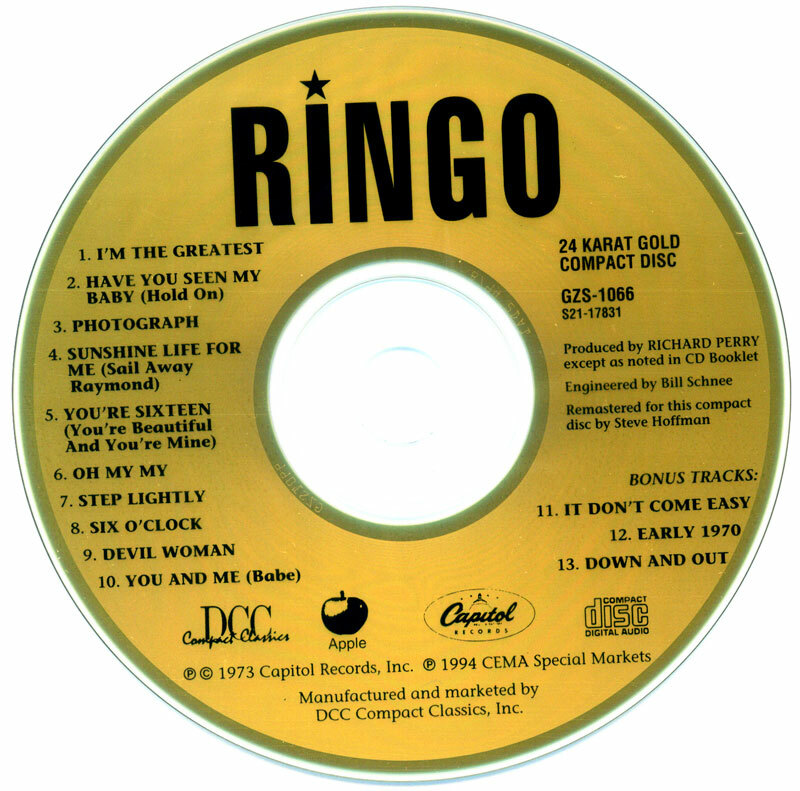 But it wasn't only the guests who made Ringo a success: Ringo advanced his own cause by co-writing two of the album's Top Ten singles, the number one "Photograph" and "Oh My My." 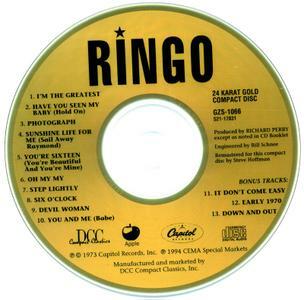 The album's biggest hit was a second chart-topper, Ringo's cover of the old Johnny Burnette hit "You're Sixteen." Songs like "Have You Seen My Baby," a Randy Newman song with guitar by Marc Bolan, and Ringo and Vini Poncia's "Devil Woman" were just as good as the hits. 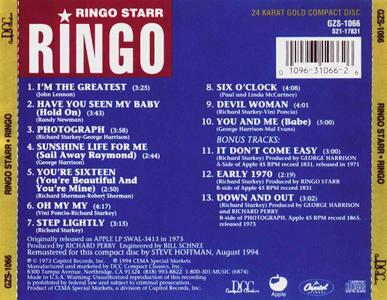 Ringo's best and most consistent new studio album, Ringo represented both the drummer/singer's most dramatic comeback and his commercial peak. 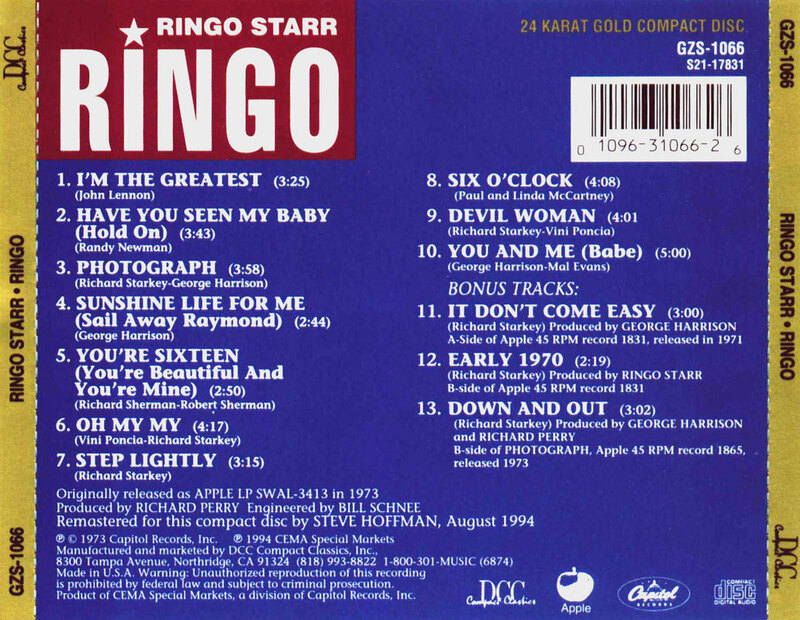 The original ten-track 1973 album got even better in 1991 as a 13-track CD reissue, the bonus tracks including the 1971 gold single "It Don't Come Easy" and its B-side, "Early 1970," a telling depiction of Ringo's perspective on the Beatles breakup.